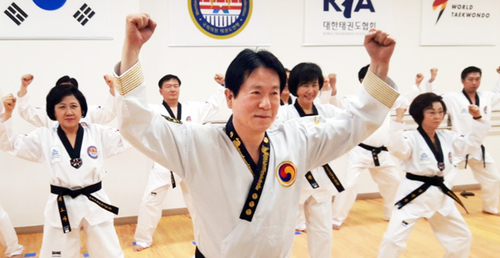 The visitors to the United States of National Assembly Taekwondo Federation(President, Lee dong-sup) had visit to the United States and Mexico for 9days. - Met with more than 50 of American people in politics and more than 200 of foreign master teams. 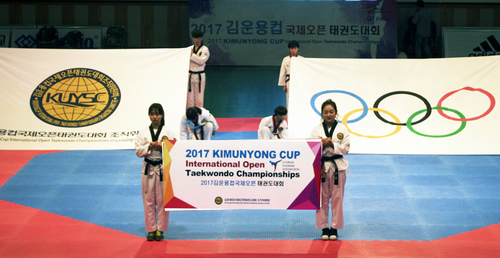 - They had valuable results of Taekwondo diplomacy and Pyeong Chang Winter Olympics. Lee Dong-sup, Son Hye Won, Min Kyung-wook, the National Aseemblymen of the National Assembly Teakwondo Federation, Myung Jae Sunchairman and 7 other executives of the Federation have visited the United States and Mexico from January 12th to January 20th for 9days. Through this visit, they had active diplomatic activities with good results such as 'Teakwondo diplomacy' and 'the public relations for Pyeong Chang Winter Olympics'. 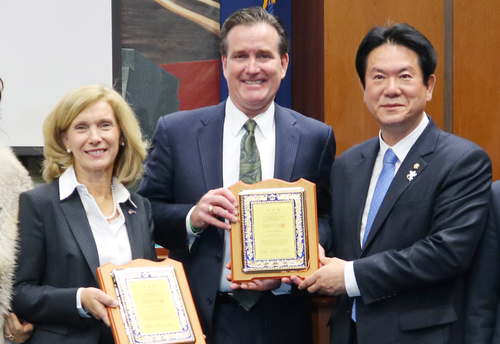 The visitors to the United States of the National Assembly Teakwondo Federation went to attend the proclamation ceremony of 'Maryland Korean Day' on January 12th, and they received appreciation plaque from Md. Gov. Larry Hogan. In Washington, they met over 200 masters from the East, and Grand Master Jhoon Rhee, a living legend of US Taekwondo (※special advisor to former President Reagan and Bush, and the mem). They had precious time listening to the ideas for development plan of Taekwondo and about private diplomatic activities through distribution of Teakwondo in US. On January 13th, they moved to New York and went attend for the 'Celebration 11th Anniversary of New York Korean Day'. They gave a plaque of appreciation of The Honorary President of the Taekwondo Federation of the National Assembly, Jung Se-kyun, the chairman of the National Assembly, to the US Democratic Party Chairman Schumer and had talks with more than 10 senators from the Federation and New York. 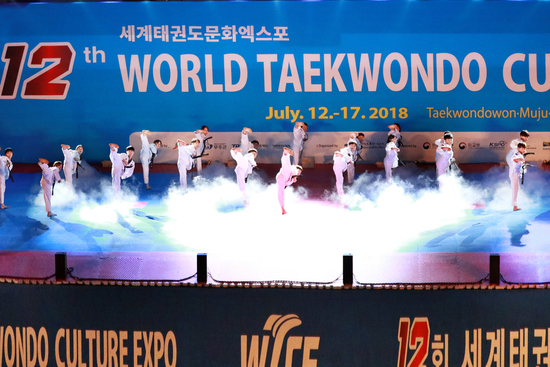 Particularly, on this day, the ceremony as a demonstration of "National Assemblyman Taekwondo Federation Demonstration Team" gaved a strong impression of Taekwondo to many honored guests and received a standing ovation. On January 14th, they moved to Virginia and held a meeting with 10 federal and state lawmakers and 40 local Taekwondo instructors. They also had the opportunity to encourage the instructors who are doing their best to spread Taekwondo in the local area and listening to their thoughts. On January 15th, they met with the US Senators from the US Senate and the IOC members, and participated in sports diplomacy activities to promote Taekwondo in the United States and to maintain the Olympic Games. On the 16th, 20 National Assembly Teakwondo Federation Deonstrators demonstrated Taekwondo in the lobby of the New York State Senate Congress for about 20 minutes and received a big applaud from the senates and the locals. In particular, on this day, representative move from Elaine Phillips (Democratic Party, New York's 7 districts, and 22-year Taekwondo trainee with official 5-dan) have expressed their hope that the PyeongChang Winter Olympic Games will be held successfully and peacefully. During the initiative, three consecutive applause and cheers followed and were unanimously adopted. On the other hand, this resolution will be delivered to President Moon Jae-inthrough the visiting team of the National Assemblyman Taekwondo Federation. On January 17th, they moved to Mexico and held a meeting with more then 20 of local masters and Moon dai-wonGrand Master, who is the godfather of Mexico Taekwondo (※ 450 operations in Mexico City and 5000 Taekwondo Do-jang distributed throughout Mexico. 5 million students trained in Mexico). Through this meeting, they had valuable time discussing about the Taekwondo distribution in Mexico and the importance of globalization of Taekwondo. In addition, they had meeting with Garcia Delatore, Secretary General of the Mexican Olympic Committee and Carlos Fruneda Firnanz, Pyeong Chang Winter Olympic Athlete and they asked for the keeping Taekwondo as Olympic official game and active public relations of Pyeong Chang Winter Olympic. 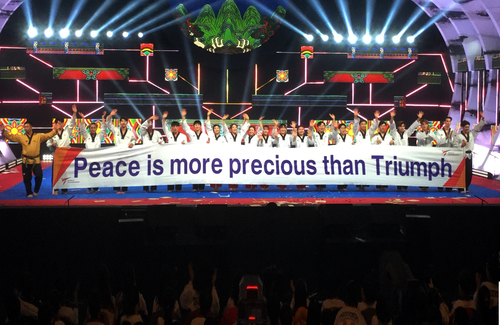 Mexico has been a touching as a proud Korean. 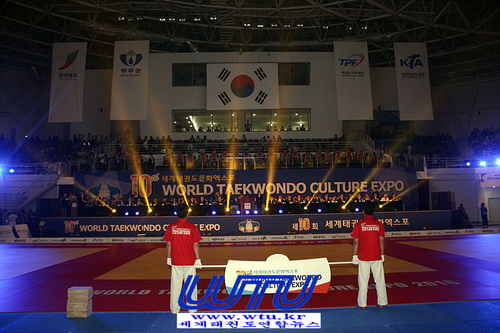 Above all, much more response than Korea and above all, in the worst conditions, the one who are doing their best to distribute Taekwondo to United States. Thank you for Grand Master Jhoon Rhee Great master, Choi Eung-gil, Lee Moon-hyeong, and Park Haeng-soonmasters of US and Moon dai-won Great master of Mexico and the other foreign masters. Also, the I am deeply appreciate to the Kim min-sn, the chairman and the people of Korean Association in Ameica. Taekwondo is our nation's indigenous culture heritage that we have to keep and cultivate. 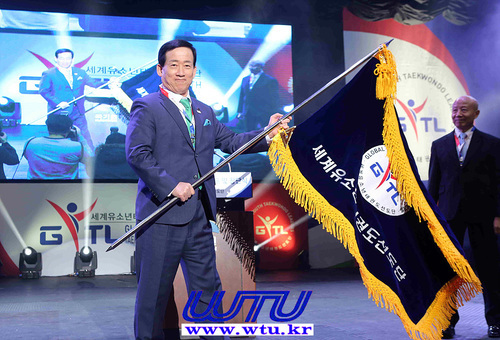 With their affection for Korea and Taekwondo, the National Assemblyman Taekwondo Federation will put our best for the globalization of Taekwondo and keeping Taekwondo as the official Olympic Game." 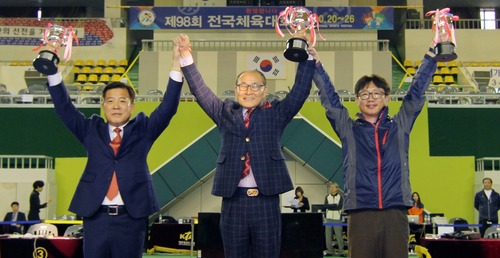 Meanwhile, the National Assemblyman Taekwondo Federation, which was formed in 2017, is the National Assembly registration corporation, in which 86 assemblymen are registered as members and Jung Se-kyunchairman of National Assembly as honorary chairman. 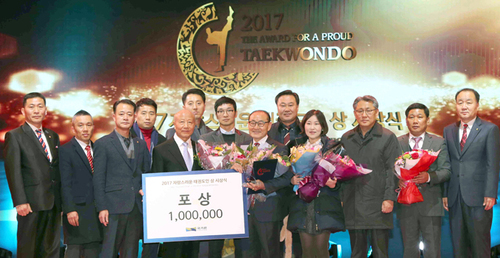 The Nationla Assemblyman Taekwondo Feration started Taekwondo's overseas promotion activities with the visit to USA and Mexico and following the successful conclusion of the first National Taekwondo Competition in 2017 at the end of 2017, the "Taekwondo Competition of the Republic of Korea and the Philippines" held in the Philippines will be held in April in cooperation with the Philippine National Assembly. 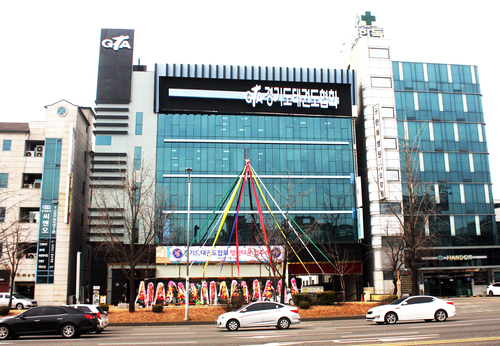 국회의원태권도연맹 이동섭, 손혜원, 민경욱의원과 명재선 이사장을 비롯한 연맹 임원 7인은 1월 12일부터 20일까지 6박 9일 일정으로 미국과 멕시코를 방문하여 ‘태권도 외교성과와 평창동계올림픽 홍보’등 적극적인 의원외교활동과 함께 성과를 거두고 귀국하였다. 국회의원태권도연맹 방미단은 1월 12일 ‘매릴랜드 한인의날’선포식에 참석하여 래리호건 매릴랜드 주지사로부터 감사패를 전달받았다. 이어 워싱턴에서는 미국 태권도의 살아있는 전설인 이준구 대사범(※레이건, 부시 前대통령 체육특별고문. 350명의 연방상·하원의원을 제자로 배출)을 비롯한 200여명의 동부권 사범들을 만나 미국 내 태권도 보급을 통한 한·미 친선 민간외교활동과 태권도발전방안에 대한 고견을 청취하는 소중한 시간을 가졌다. 1월 13일에는 뉴욕으로 이동하여 ‘뉴욕 한인의날 115주년 기념식’에 참석하여 국회의원태권도연맹 명예총재인 정세균 국회의장의 한·미동맹 감사패를 미국 민주당 척 슈머 원내대표에게 전달하였고, 10여명의 연방 및 뉴욕주 상원의원들과 면담을 가졌다. 특히, 이날 행사에는 국회의원태권도연맹 시범단」의 시범으로 기념식에 참석한 많은 귀빈들에게 태권도에 대한 강한 인상을 남기고 많은 기립박수갈채를 받았다. 1월 14일에는 버지니아주로 이동하여 연방 및 주 의원 10여명과 현지 태권도 사범단 40여명과 함께 간담회를 갖고, 현지에서 태권도전파에 혼신의 힘을 다하는 사범들을 격려하고 이들의 고견을 청취하는 기회를 가졌다. 1월 15일에는 토머스 수오지 미 연방의원을 비롯한 상하원의원들과 IOC관련 인사들을 만나 미국 내 태권도 육성방안과 올림픽 정식종목 유지에 대한 스포츠외교활동을 펼쳤으며, 16일에는 뉴욕주 의회청사에서 국회의원 태권도연맹시범단 20명이 태권도시범을 통해 뉴욕주 상원의회 건물 로비에서 20여 분간 태권도 시범을 펼쳐 상원의원 등 현지로부터 많은 박수갈채를 받았다. 특히 이날은 일레인 필립스(민주당, 뉴욕 7선거구, 22년간 태권도를 수련한 공인 5단)의원의 대표발의로 평창 동계 올림픽이 성공적이고 평화적으로 개최되기를 기대하는 내용을 담은「평창 동계 올림픽 성공개최 기원 결의안」이 발의되어 결의안을 읽는 동안 3번의 기립박수와 환호가 이어졌으며 만장일치로 채택이 되었다. 한편, 이 결의안은 국회의원 태권도연맹 방문단을 통해 문재인 대통령에게 전달될 예정이다. 이어 1월 17일에는 멕시코로 이동하여 멕시코 태권도 대부인 문대원 대사범(※멕시코시티에 450개 운영, 멕시코 전국에 5000개 태권도도장 분포. 멕시코 내 수련생이 500만명)을 비롯한 20여명의 현지사범들과 간담회를 갖고 멕시코 태권도 보급과 세계화에 대한 중요성에 대해 논의하는 값진 시간을 가졌다. 또한, 가르시아 델라토레 멕시코 올림픽위원회 사무총장과 까를로스 프루네다 페르난데즈 평창동계올림픽 선수단장등과 면담을 갖고 태권도 올림픽정식종목 유지와 함께 평창동계올림픽에 대해 적극적인 홍보를 당부하였다. 이동섭의원은“미국과 멕시코에서 느낀 태권도에 대한 현지의 열기는 정말 뜨거웠고 자랑스러운 한국인으로 벅찬 감동을 느끼고 왔다. 무엇보다도 한국보다 훨씬 더 큰 호응과 무엇보다도 열악한 여건 속에서도 태권도 전파를 위해 혼신의 힘을 다하여 국위선양에 앞장서고 있는 미국의 이준구 대사범님, 최응길, 이문형, 박행순 사범님과 멕시코의 문대원 대사범을 비롯한 해외사범들에게 감사를 드린다. 그리고 머나먼 이국땅에서 재외동포를 대변하고 있는 김민선 한인회장을 비롯한 미국의 한인회 분들에게도 깊은 감사를 드린다.”라면서“태권도는 우리가 지키고 가꿔야할 우리민족의 고유문화유산이다. 이들의 한국과 태권도에 대한 애정위에 국회의원 태권도연맹은 태권도의 세계화와 올림픽정식종목 유지를 위해 혼신의 노력을 다하도록 하겠다.”라고 방문소감을 밝혔다. 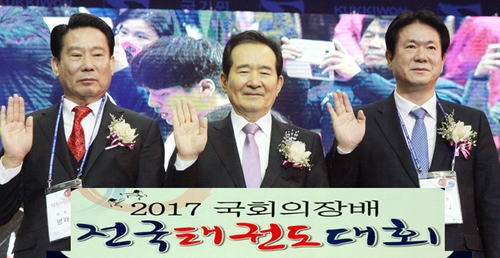 한편 2017년 결성된 국회의원 태권도연맹은 정세균 국회의장을 명예총재로 여·야 국회의원 86명이 동참하고 있는 국회등록법인이다. 국회의원 태권도 연맹은 이번 미국과 멕시코 방문을 계기로 태권도의 적극적 해외홍보활동을 시작하였고, 지난 2017년 연말 「제1회 국회의장배 전국태권도대회」의 성공적 개최에 이어 오늘 4월에는 필리핀에서 열리는 「한·필리핀 국회의장배 태권도대회」를 필리핀 국회와 공동 주관하여 준비 중에 있다.